New slope-shouldered dreadnought bodyshape debuts on three new vintage-voiced models. NAMM 2019 sees the launch of the Grand Pacific from Taylor Guitars. The brainchild of master guitar designer Andy Powers, the slope-shouldered dreadnought design features V-Class bracing and debuts on a trio of new models with optional electronics: the 317, the Builder’s Edition 517 and Builder’s Edition 717. Read the first review of all three Grand Pacific models. V-Class bracing was one of the stars of Winter NAMM 2018, and although the game-changing design was unveiled on the modernistic and ornate Builder’s Edition K14ce, the Grand Pacific was the guitar that Powers had in mind when he set about reworking the internal architecture of the flat-top acoustic guitar a couple of years earlier. While the cutaway-equipped Builder’s Edition K14ce Grand Auditorium is Taylor in excelsis, the Grand Pacific has been crafted with an affinity for the crackle of vinyl records and an appreciation for an altogether older and more elusive steel-string acoustic sound. “I thought, well, there’s all these sounds that I’m familiar with, that I love,” Andy Powers explained during the Grand Pacific press launch at Nashville’s Southern Ground studio. “I hear them on old records, I hear them on the music that I grew up with – country-rock from Laurel Canyon and bluegrass. “So when I think about those songs, and listen to those sounds… in reality I can’t actually make those sounds with any of the guitars we have around. Even with many of the old guitars, it doesn’t make the sound that we’re familiar with because oftentimes that’s had some of its issues dealt with. It’s like a composite sound. The elegant simplicity and symmetry of the Grand Pacific body shape is striking, and it immediately lends the instrument more of a blue-collar vibe than many high-end Taylors. Although it’s now standard on all of Taylor’s Ej Cajon-made Grand Auditorium models, V-Class bracing debuted on one Builder’s Edition instrument with a five-grand price tag. Taylor has endeavoured to make the Grand Pacific’s round-shouldered, non-cutaway body shape more accessible from day one by including the sapele/spruce 317 (from £1,919) alongside a pair of Builder’s Editions – the mahogany/torrefied Sitka spruce 517 (from £2,999) and the rosewood/torrefied Sitka spruce 717 (from £3,179). The V-Class bracing system isn’t just about making an acoustic guitar shout louder and longer, it can also be used for control, and in this case to tame some of the less desirable characteristics associated with a particular body shape. While a dreadnought delivers more bass and bottom-end thump than a narrower waisted design, this can often manifest itself as an overpowering plosive that causes problems for sound engineers. The result is a guitar that delivers warmth and familiarity without getting swamped by bass, and retains clarity without the more clinical-sounding precision of a Grand Auditorium. 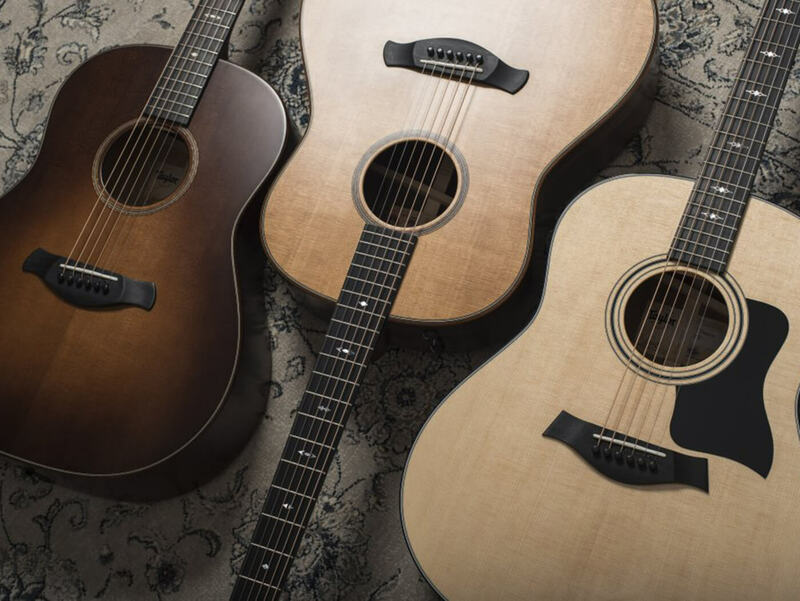 Will Taylor’s Grand Pacific shake up the acoustic market in 2019 like V-Class did last year? 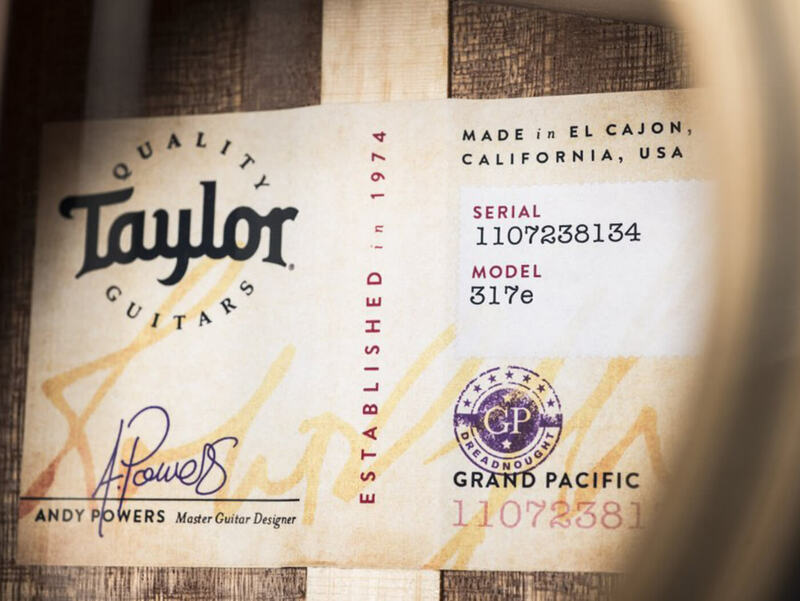 Read the first review of Taylor’s new Grand Pacific models to find out.